Welcome to Bennett Property Inspection. Our mission is to provide high quality home inspections as well as additional inspection services for Greater Tampa and its surrounding areas. As customers try to wade through all the daunting aspects of buying or selling a home, we provide them with as much information as possible so they can make informed and wise decisions, as it can be one of the biggest financial undertakings in ones lifetime. 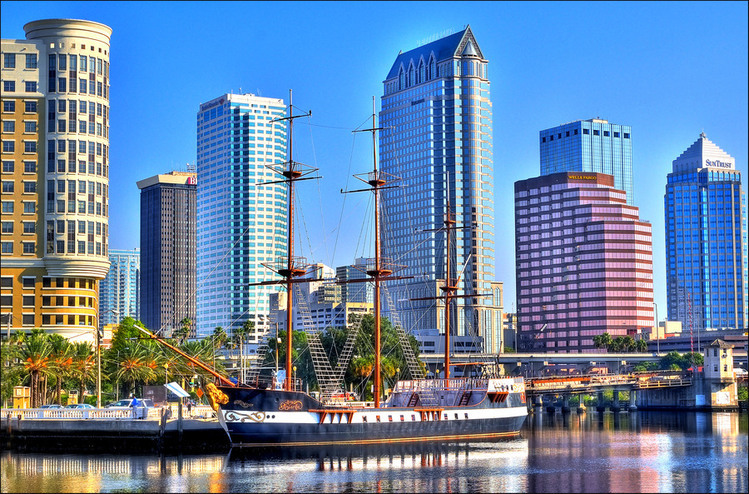 We take great pride in being one of Tampa's most preferred and referred home inspection companies for the areas of Tampa, St. Petersburg, Brandon, Carrollwood, Westchase, Citrus Park, Davis Island, Keystone, Wesley Chapel, Seminole Heights & more! Whether you're buying or selling a home in Tampa or one of its surrounding areas, having a thorough and professional home inspection from a certified profes﻿sional inspector at Bennett Property Inspection will give you peace of mind and assist you in a fair and smooth transaction. We’re a full service home inspection ﻿company that truly focuses on customer service and providing you with peace of mind when faced with a property buying decision. One of our primary goals at Bennett Property Inspection is to reduce as much of the stress and uncertainty as possible with regards to the buying and selling process by providing you with an accurate and unbiased robust home inspection. Our home inspections start by performing a thorough visual inspection of the systems and components of the property, or home. We will identify for you components of the house that are not performing well; as well as systems that may require maintenance to improve their functionality. When you choose to use the services of Bennett Property Inspection, we promise to add insight to your knowledge of the home. All home inspections are entirely visual and therefore no destructive or technically exhaustive testing will be performed. The overall objective of the inspection and report is to put you in a much better position to make an informed decision with our accurate and thorough report. We also perform insurance inspections. Wind mitigation inspections, Four (4) Point insurance inspections, and roof condition certifications for home owners insurance. We are determined and committed to providing our clients with a superior inspection service, unsurpassed personal care, and deliver of an inspection report that sets the industry standards. At Bennett Property Inspection, we offer a wide range of services. To see what services we have to offer to our customers click here. WE PROUDLY SUPPORT OUR MILITARY, ASK ABOUT OUR MILITARY DISCOUNT! A home is likely one of the largest purchases you’ll ever make, it’s important to understand the condition of your investment. Bennett Property Inspection is a Certified Professional Inspector (CPI) and will provide you with an unbiased, non-invasive home inspection, which will significantly reduce your anxiety by arming you with the knowledge you need to make an informed home-buying decision. For more information on the Bennett Property Inspection process click here. Are you selling your home? Let Bennett Property Inspection inspect your home before you even list it. A Seller Inspection informs you of any defects or problems with your home so that you can address the problems before prospective buyers discover them. Justify your full asking price by having your home pre-inspected. For more information on the Bennett Property Inspection process click here. Your clients rely on you to guide them through a complicated and sometimes stressful process. When your client uses Bennett Property Inspection, you can rest assured that the home inspection and report will meet your high standards of excellence and commitment to service. My experience, training and professionalism will deliver the information your clients needs to make an informed decision on a timely and consistent basis. When your clients utilize Bennett Property Inspection, you are not confined to an emailed, bulky, slow PDF file that may be stuck on your clients computer at work when they’re at home and get a problem call from their buyer. When using our report upload service agents and their clients can go to any computer that has Internet access, go to www.bennettpropertyinspection.com to sign in, and get superb high quality HTML access to that report instantly. Additionally, If you prefer PDFs or hard copy reports, that option is available as well directly on the HTML report that you access through the secure login. We are a Supra eKEY™ holders. At Bennett Property Inspection we are working hard every day to improve our service to our clients. If you want to share feedback about your experience with us, then rate us using any of the ratings & reviews below. If you are a customer in need of service, please CONTACT US with your inquiry or request.